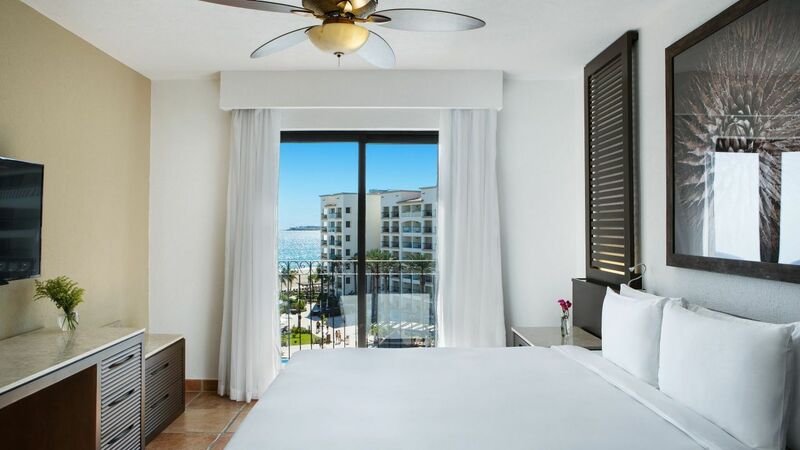 Perched on the tip of the Baja California Peninsula, Hyatt Ziva Los Cabos is a luxurious all-inclusive oasis for all-ages. 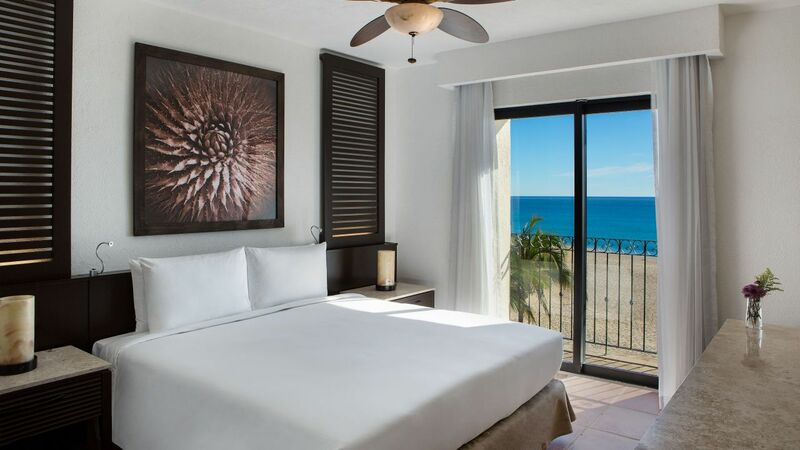 Just up the Pacific Coast, between desert dunes and ocean rock formations, our magnificent beachfront resort offers spectacular views of the Sea of Cortez and is only minutes from San José del Cabo. 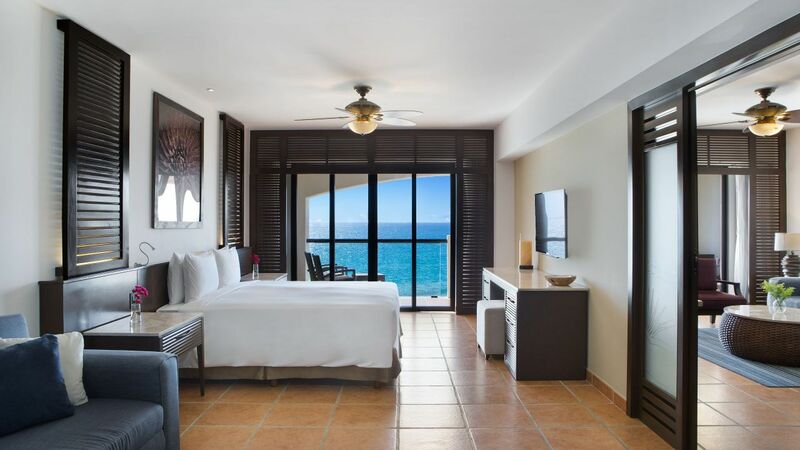 At Hyatt Ziva Los Cabos, your family will enjoy beautiful suites with sleek décor and private balconies with ocean vistas. Enjoy delectable cuisine at 7 unique restaurants, a pristine beach on the Sea of Cortez and all-inclusive activities for unforgettable family vacations in Los Cabos. Luxurious 584-square-foot (54-square-meter) room offers everything you need including a king size bed, sofa bed and refreshment center. Relax on a fully furnished terrace and enjoy magnificent views of the gardens. Luxurious 584-square-foot (54-square-meter) room offers everything you need including two double beds, sofa bed and refreshment center. Relax on a fully furnished terrace and enjoy magnificent views of the gardens. Spectacular 584-square-foot (54 square meter) room, featuring one king sized bed, sofa bed, refreshment center and incredible views of the pool from the terrace. Spectacular 584-square-foot (54 square meter) room, featuring two double beds, sofa bed, refreshment center and incredible views of the pool from the terrace. 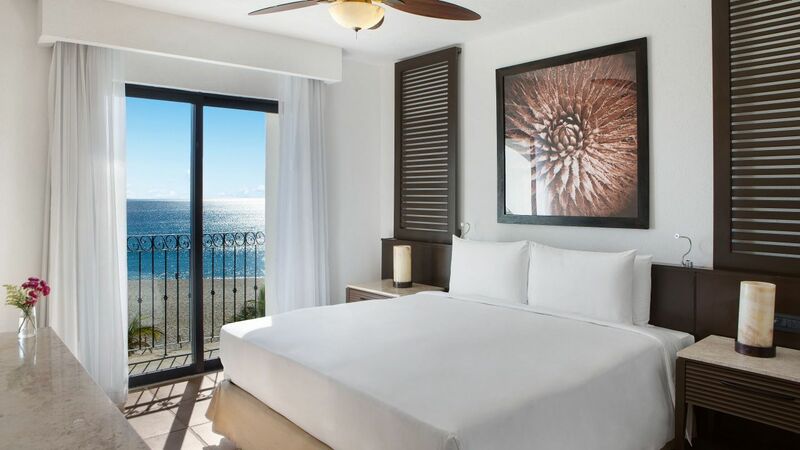 Spectacular 584-square-foot (54-square-meter) room, featuring one king sized bed, sofa bed, refreshment center and indirect views of the Sea of Cortez from the terrace. 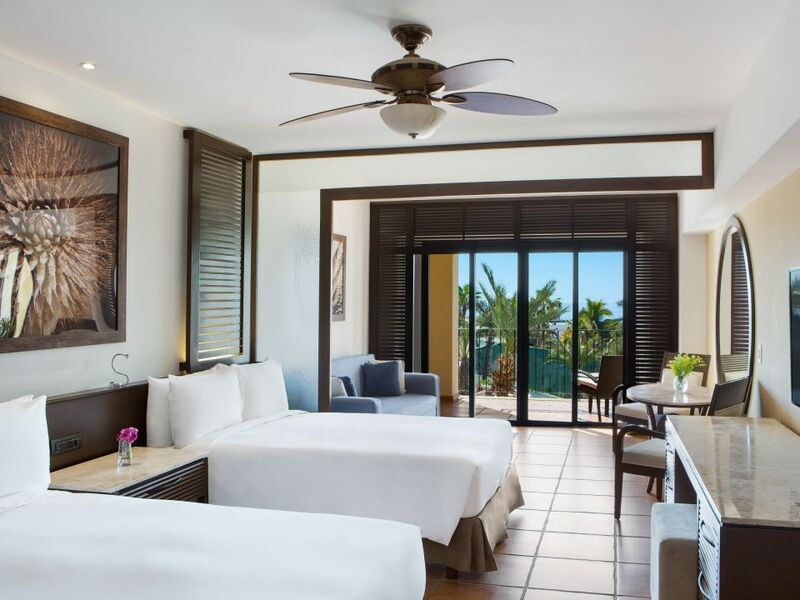 Spectacular 584-square-foot (54-square-meter) room, featuring two double beds, sofa bed, refreshment center and indirect views of the Sea of Cortez from the terrace. 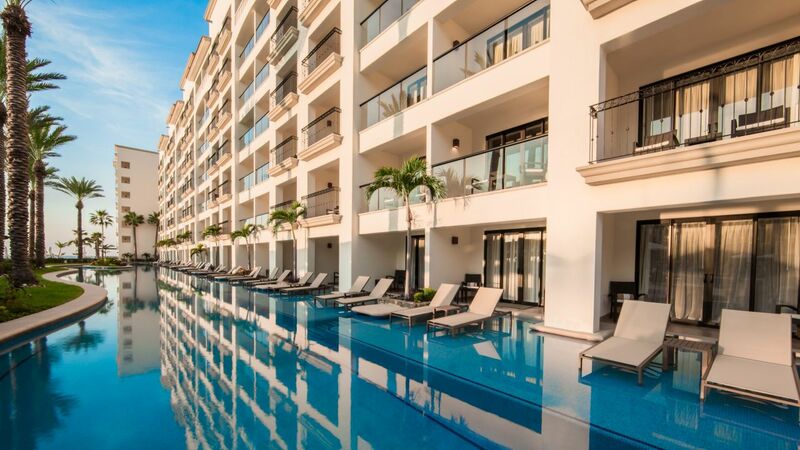 Be surprised by the exclusive and innovative swim-up rooms with direct access to the pool. 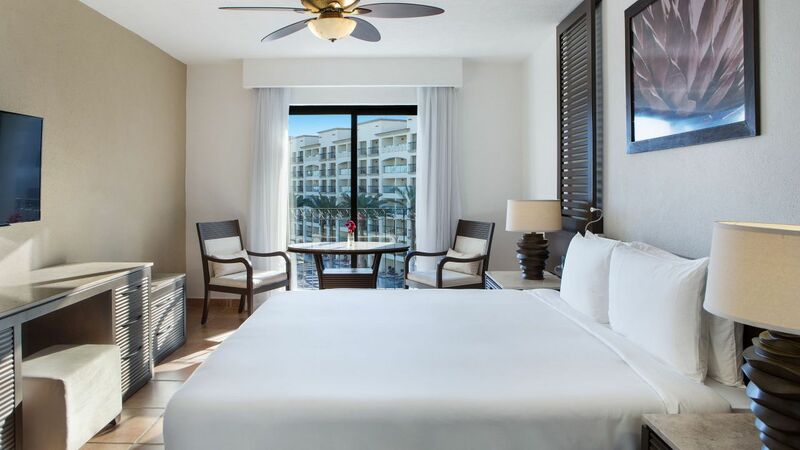 These rooms are approximately 755 square foot, feature a king bed and are on the same level as the pool-bar with splendid views of the pool and garden. 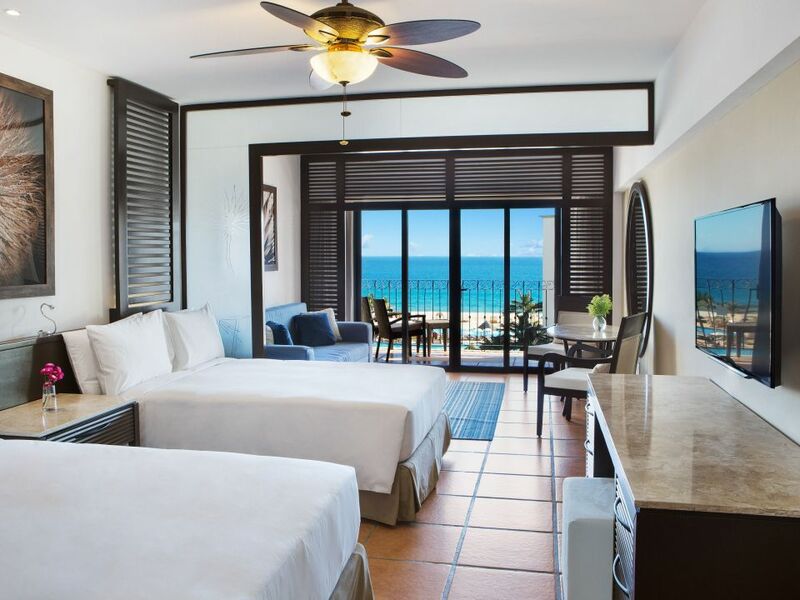 These rooms boast handmade Mexican ceramic tiled floors and solid wood furniture with marble tops. See World of Hyatt program terms for upgrade eligibility. Be surprised by the exclusive and innovative swim-up rooms which have direct access to the pool. 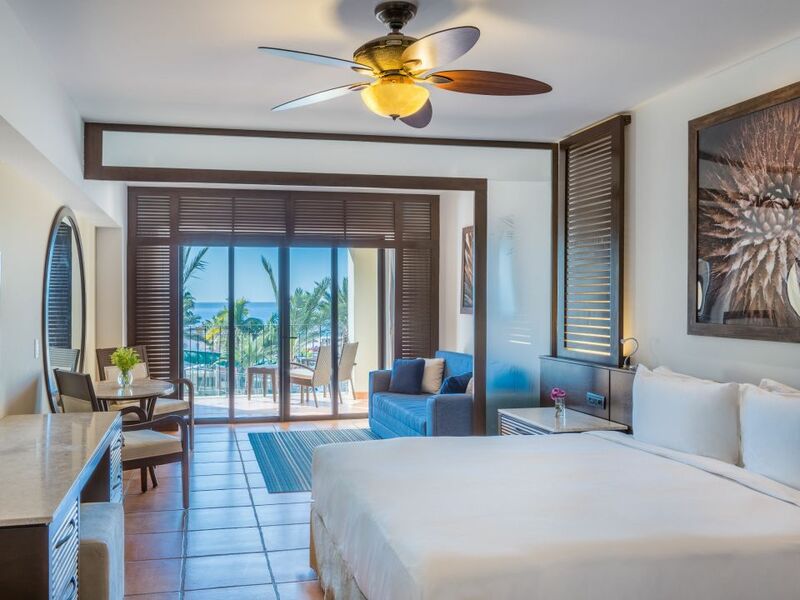 These rooms are approximately 755 square foot, feature two double beds and are on the same level as the pool-bar with splendid views of the pool and garden. 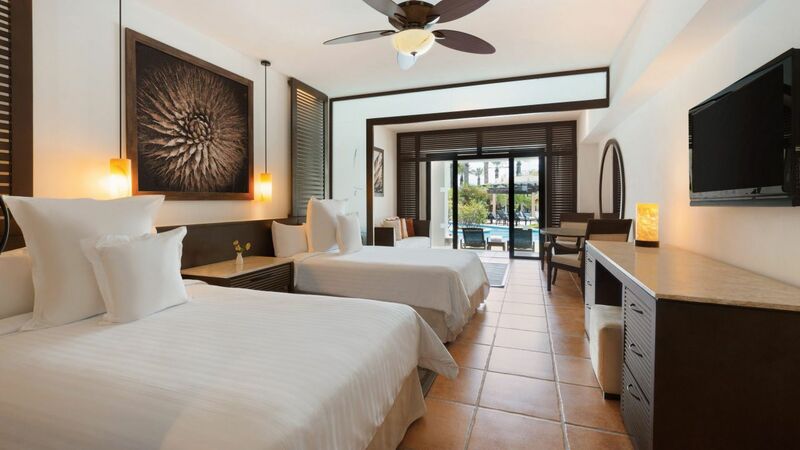 These rooms boast handmade Mexican ceramic tiled floors and solid wood furniture with marble tops. See World of Hyatt program terms for upgrade eligibility. 1,130-square-foot (105-square-meter) ocean view suite with a large separate living room, marble bathroom and bathtub with jets. This is a premium suite. See World of Hyatt program terms for upgrade eligibility. 1,164-square-foot (108-square-meter) suite with direct ocean views, large separate living room, marble bathroom and bath tub with jets. This is a premium suite. See World of Hyatt program terms for upgrade eligibility. 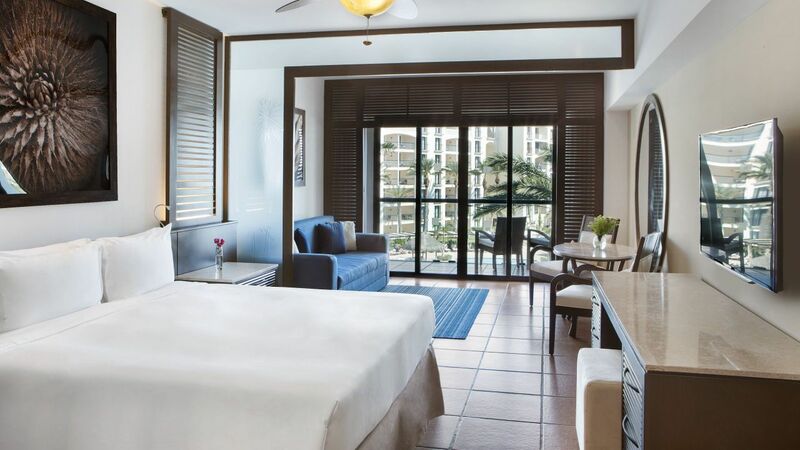 Exclusive, spacious 1,248-square-foot (116-square-meter) suite with two bedrooms. 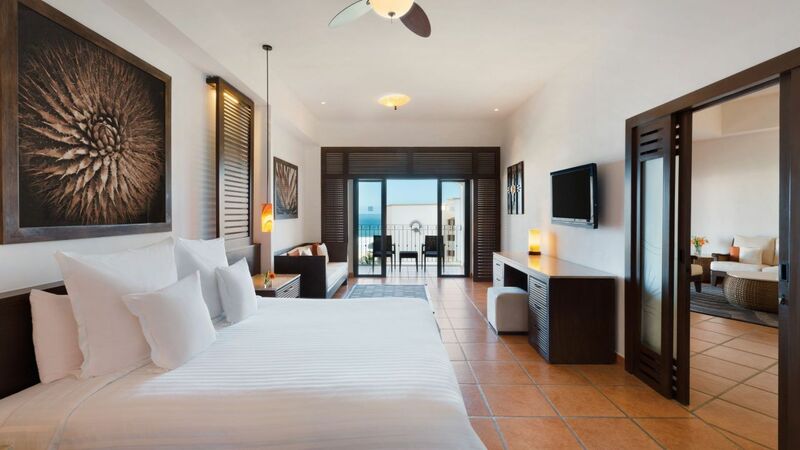 These suites offer maximum comfort and include a king bed in one bedroom, two double beds in the other bedroom, a living room, a dining room and a furnished terrace with magnificent sea views. Located at Fragata Building, these luxurious accommodations feature Club Level package amenities including: This is a premium suite. See World of Hyatt program terms for upgrade eligibility. 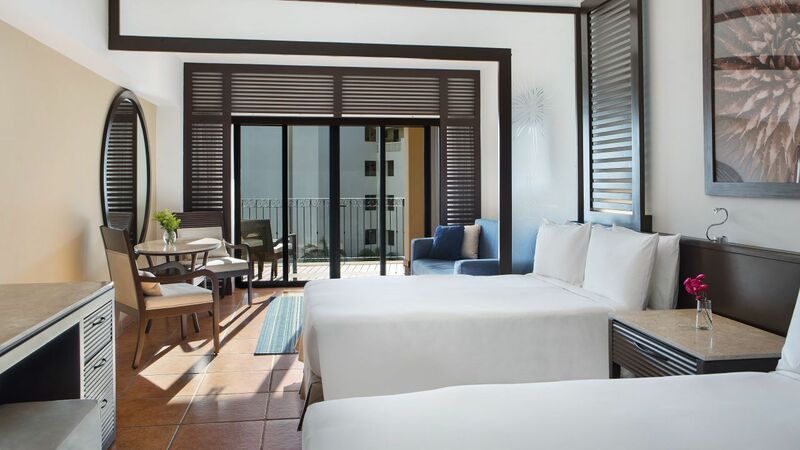 Exclusive, spacious 1,614-square-foot (150-square-meter) suite with two bedrooms and two and a half bathrooms. 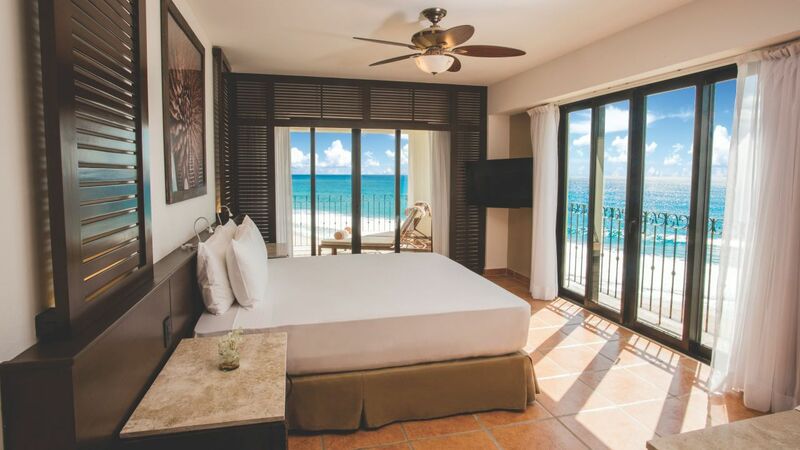 These suites offer maximum comfort and include a king bed in each bedroom, a living room, a dining room and a furnished terrace with magnificent sea views. Located at Fragata Building, these luxurious accommodations feature Club Level package amenities including: This is a premium suite. See World of Hyatt program terms for upgrade eligibility. 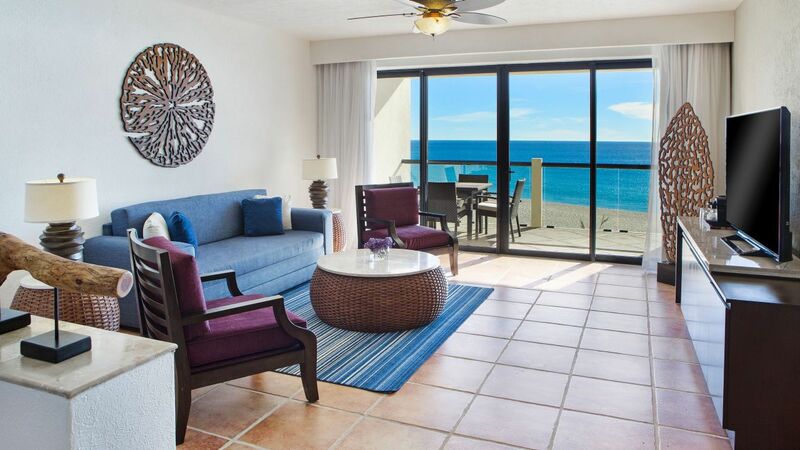 Exclusive, spacious 2,335-square-foot (217-square-meter) suite with two bedrooms and two and a half bathrooms. These suites offer maximum comfort and include a king bed in one bedroom, two double beds in the other, a living room, a dining room and a furnished terrace with magnificent sea views. Located at Fragata Building, these luxurious accommodations feature Club Level package amenities including: This is a premium suite. See World of Hyatt program terms for upgrade eligibility. 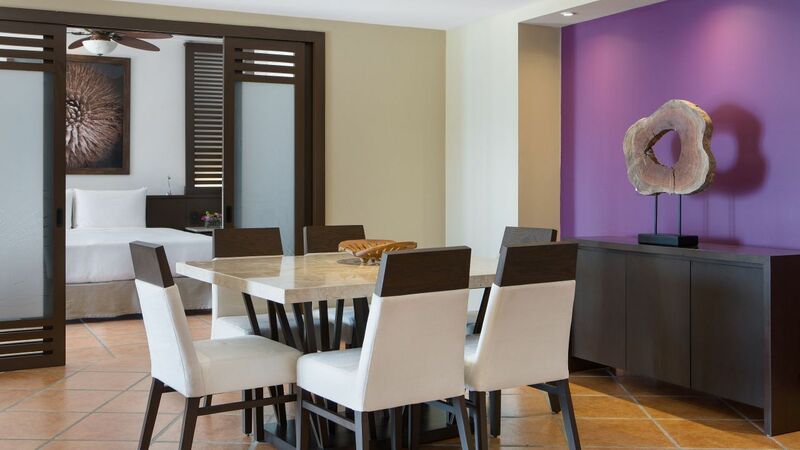 Luxurious and contemporary 2,106-square-foot (195-square-meter) penthouse suite. 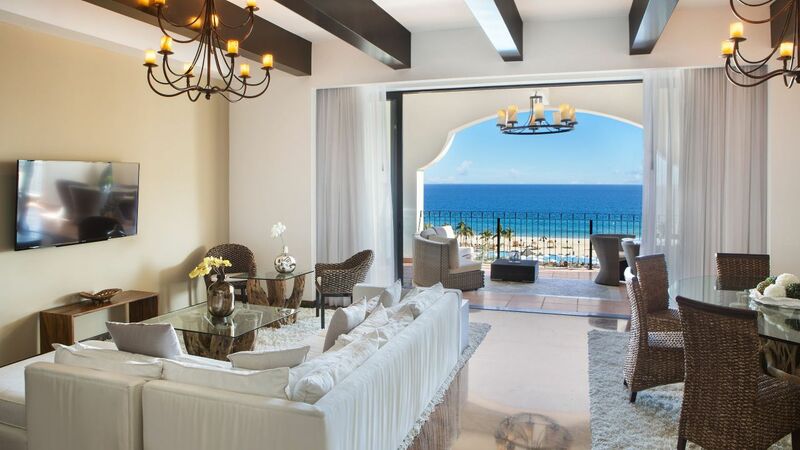 It features a large, furnished terrace and pool with stunning sea views. The Presidential Suite features Club Level package amenities including: This is a premium suite. See World of Hyatt program terms for upgrade eligibility. 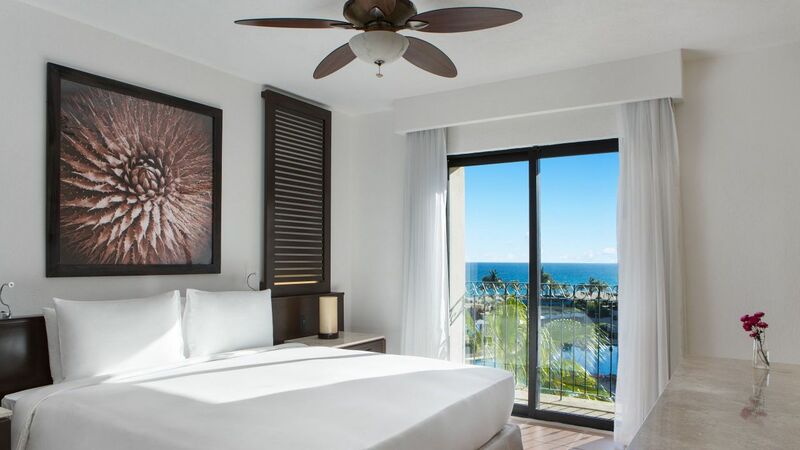 Spacious, comfortable and bright 619-square-foot (57-square-meter) suite, featuring a king sized bed. Conveniently located near the kid's club and kid’s water feature area overlooking the pool or garden. Includes two bathrooms and a sofa bed. This is a standard suite. See World of Hyatt program terms for upgrade eligibility. Are you sure you want to leave the chat?